Spring has officially sprung, y’all!! With Easter just two days away, we are in full-on springtime mode in the N&L studios. Both the Chicago and Nashville locations have been fulfilling adorable spring themed party orders and are gearing up for spring weddings. To celebrate the change of season, we’re sharing some of our favorite spring party ideas! First up is one of our all time favorite children’s party we’ve ever done. We love Peter Rabbit birthdays any time of the year, but especially in the spring! 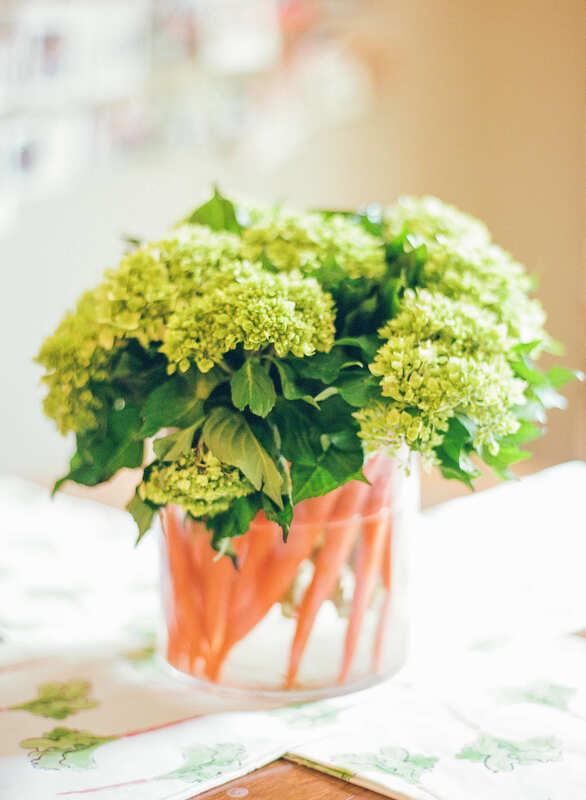 Madolyn’s Peter Rabbit first birthday was planned by her mom, who not only happens to be one of our closest friends, but is also an incredibly talented event planner. 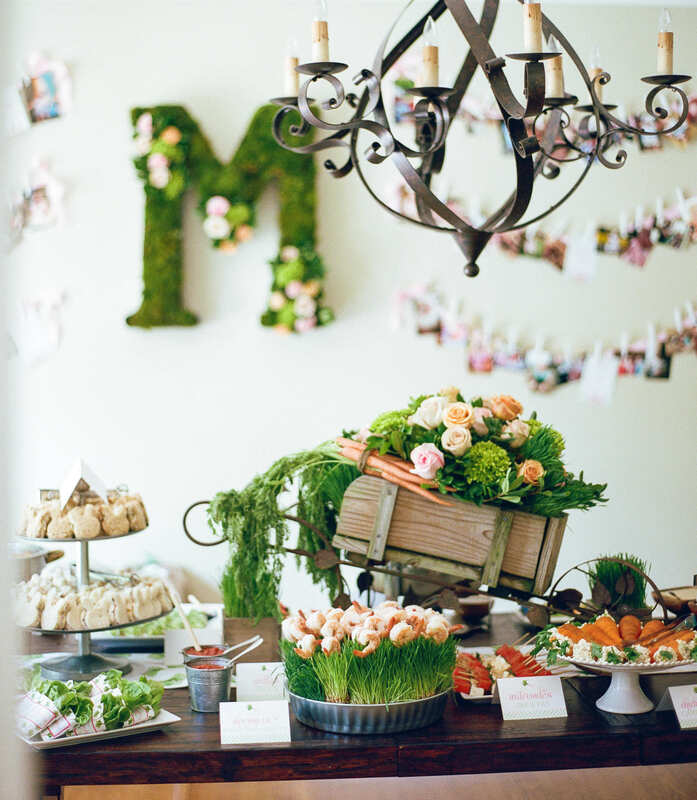 From the invitations and decor, to Peter Rabbit themed food…every aspect of Madolyn’s party was top notch. Take a peek at some of our favorite moments from her Peter Rabbit birthday! In addition to being all around adorable, Madolyn’s birthday included some amazing spring decor that could easily translate onto your Easter brunch table! 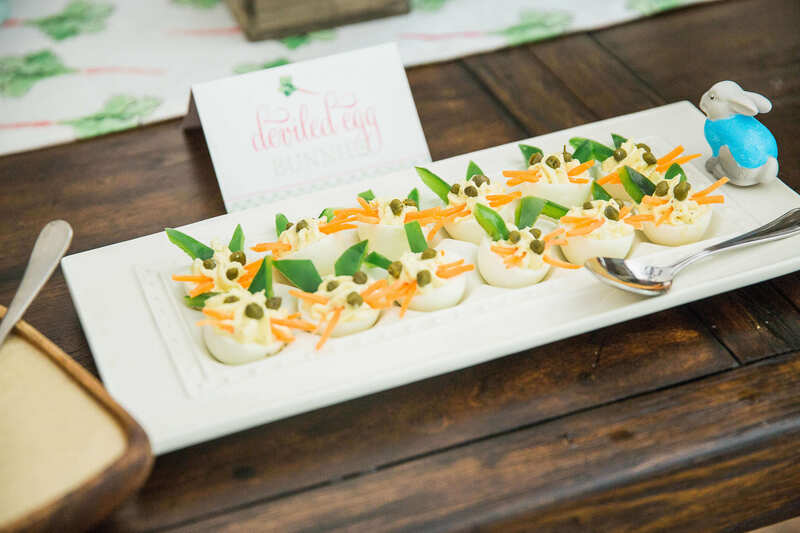 Deviled eggs made into bunny rabbits…how perfect of an addition would this make for Easter Sunday? 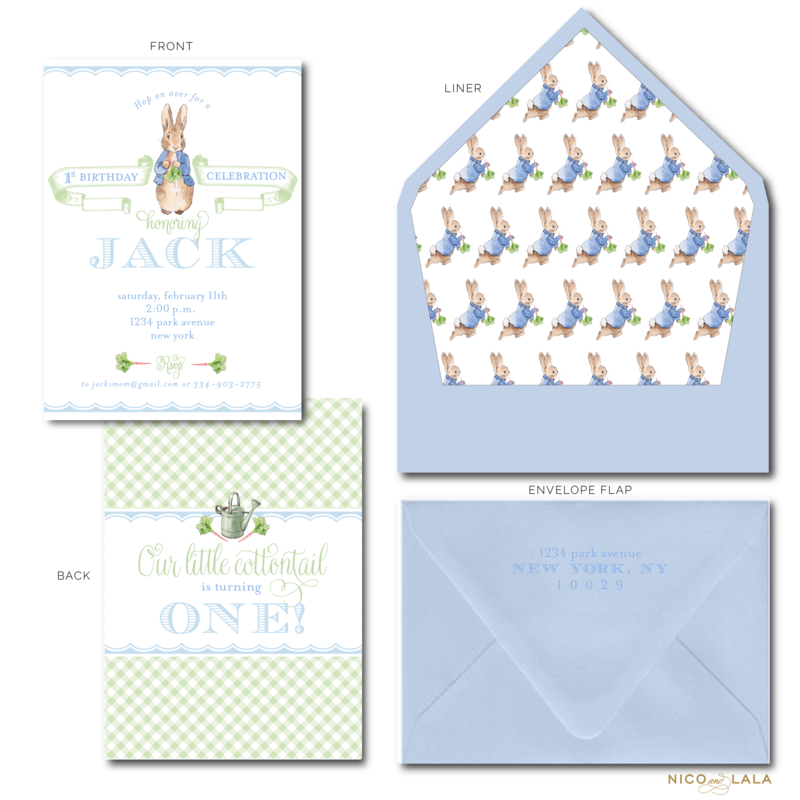 After we featured Madolyn’s Peter Rabbit first birthday on our blog, we got SO many requests for her invitations and swag! So when coming up with our list of preset parties, we KNEW Peter Rabbit had to be included. Since Madolyn’s original design was pink with girly accents, we wanted to come up with a blue design so boys could also party like Peter. 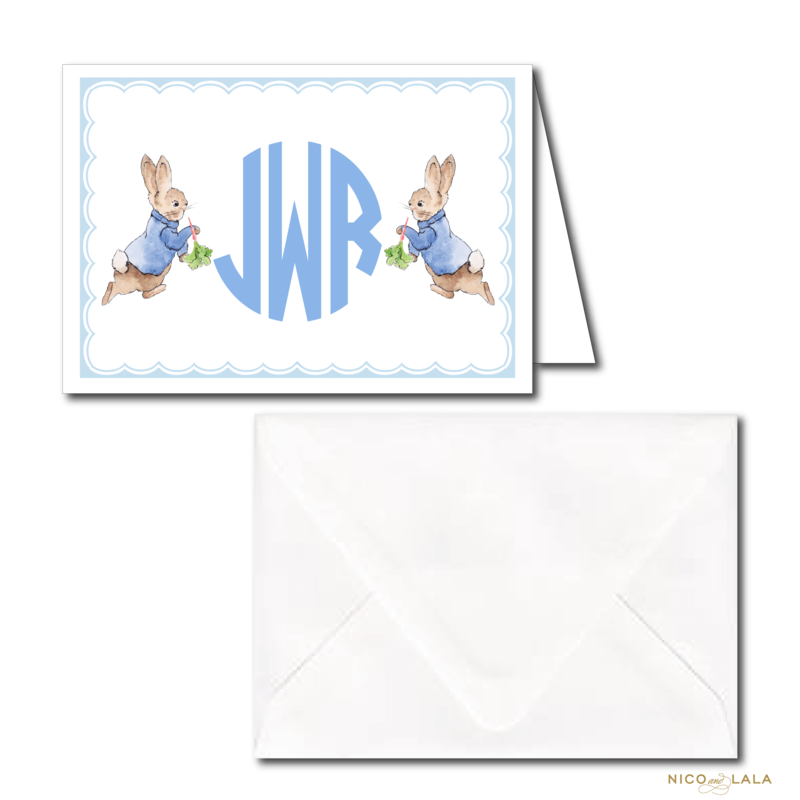 Check out our adorable Peter Rabbit birthday invitation…for boys! 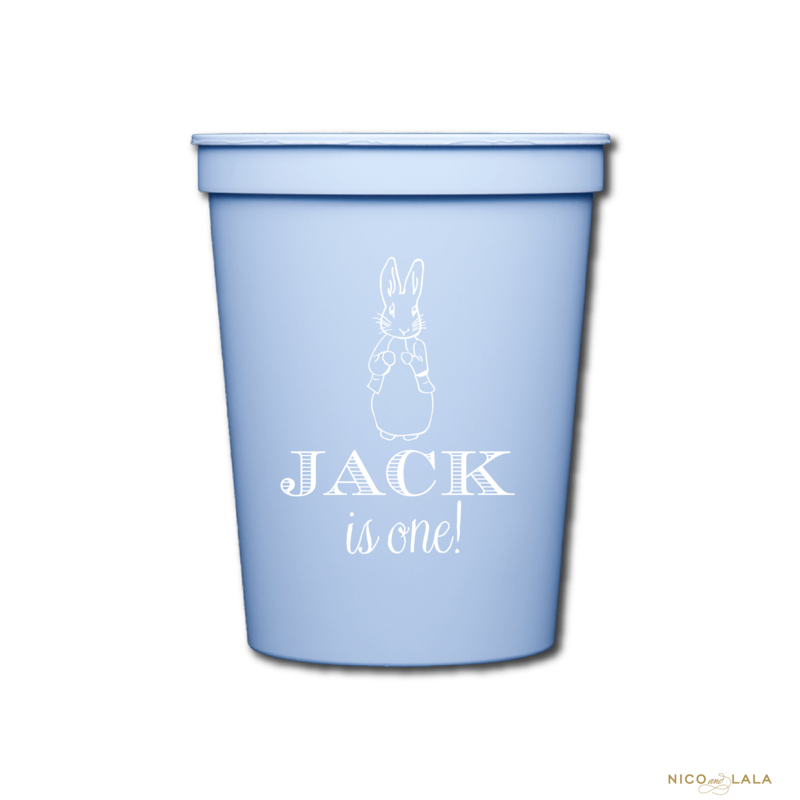 The best part about our preset parties (including both the boy and girl Peter Rabbit designs)? 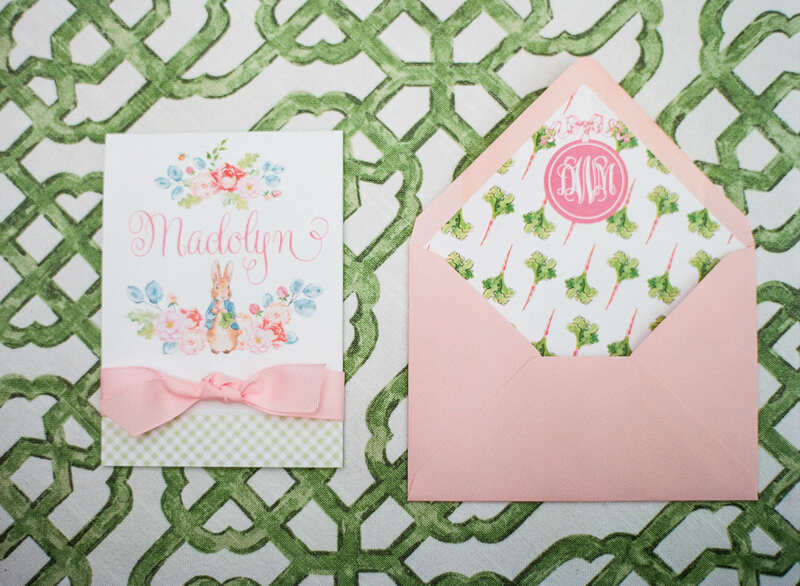 The coordinating swag you can order that perfectly matches your invitation! We love all of the little details, so you know this swag does not disappoint! 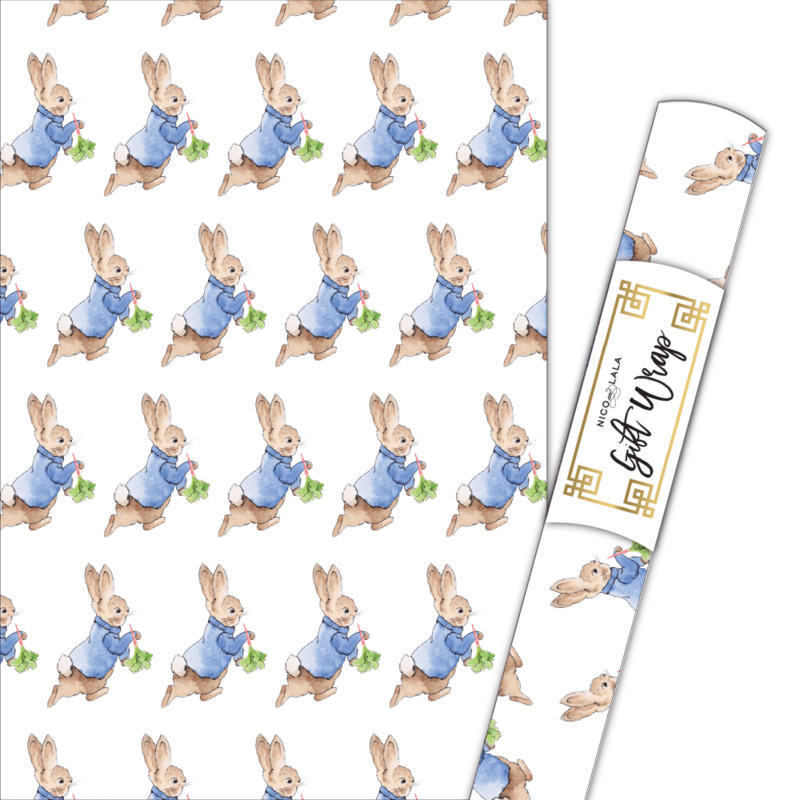 How festive for spring is our brand new boy Peter Rabbit gift wrap?! This sweet design (also available in pink) is perfect for wrapping spring birthday presents and could easily double as wrapping paper for a baby shower. How do you say thank you for all of your Peter Rabbit presents? With our boy Peter Rabbit stationery! Looking through Madolyn’s party and at our preset Peter Rabbit party designs has us inspired to throw our own spring soirée! Whether you’re looking for some last minute Easter decorating ideas, or you’re throwing a bridal or baby shower, we have party ideas for your spring fling! 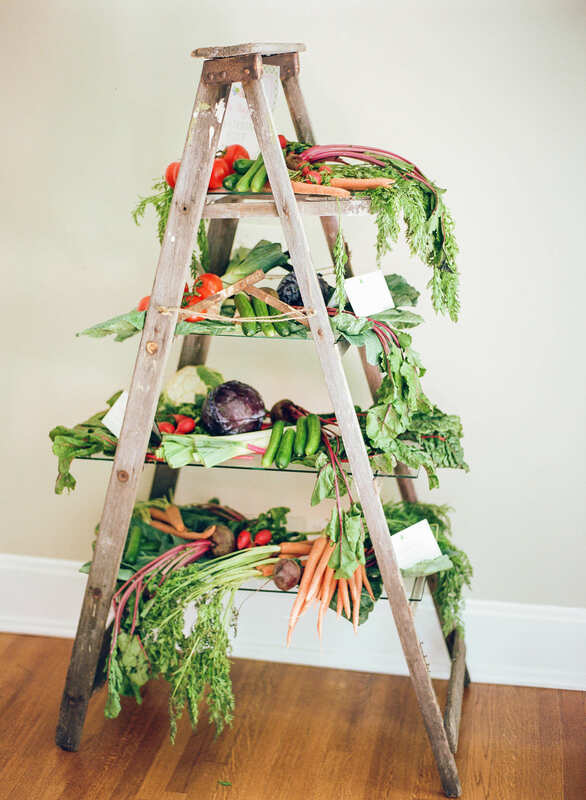 While this craft is not for first timers, we are SO obsessed with this flower cart display! 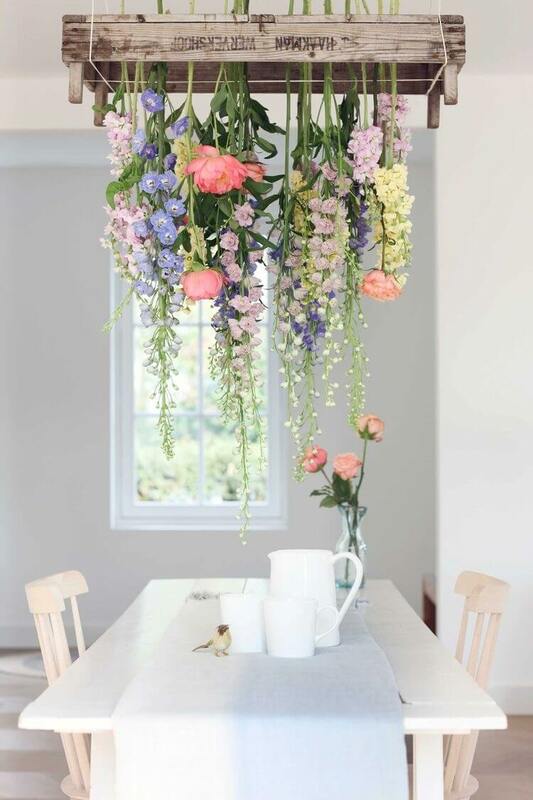 Let your spring flowers take center stage at your party by hanging them from the ceiling instead of acting as a centerpiece! Via Curated Interior. 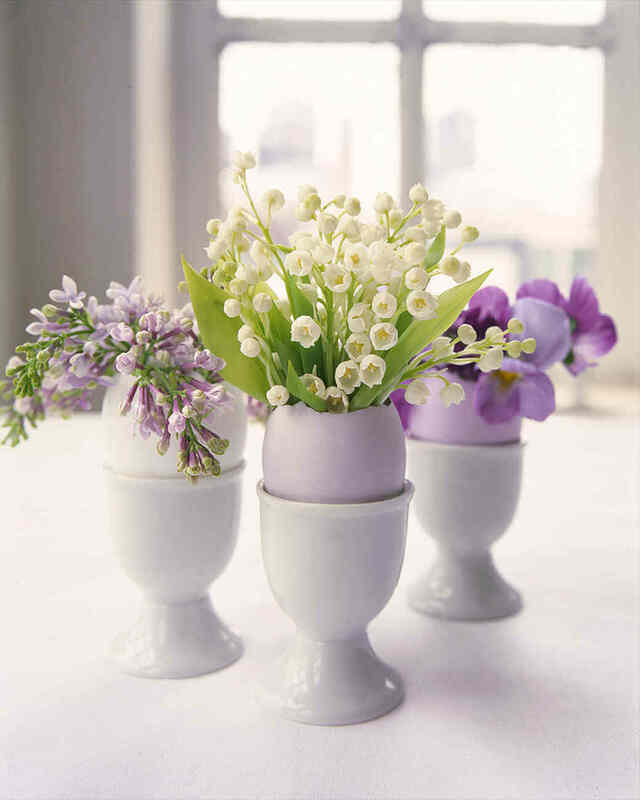 If a traditional centerpiece is more your thing, we love these sweet spring floral arrangements inside an eggshell. Learn how to recreate this look for your party over on Martha Stewart. If you like to match your springtime decor, we found the perfect dress for all your spring celebrations! How adorable is this magnolia dress from (our favorite) Draper James?! Whatever exciting event you’re celebrating this spring, we hope our ideas inspired your next party. Wishing everyone a very Happy Easter and wonderful springtime celebrations!